One of the biggest problems now that perhaps faces Pakistan is the immense polarization. The diverseness in fundamental beliefs and opinions on social, cultural and religious issues has always been a part of the society, but has definitely been brought out in the open following the war on terror. The flourishing media industry, it seems, has been a catalyst in this process. Before the advent of the media revolution in Pakistan, majority of the population tended to be passive and indifferent to the oft-reported sectarian rifts or related injustices done in the name of religion. Along with that there were ramifications of a cultural heritage that, at places and occasions, refused to evolve, but seldom garnered enough attention for it to instigate a mainstream discussion. There can be no arguing against the notion of bringing all genres of injustice into light. The manner, however, is extremely critical, especially in our setting. 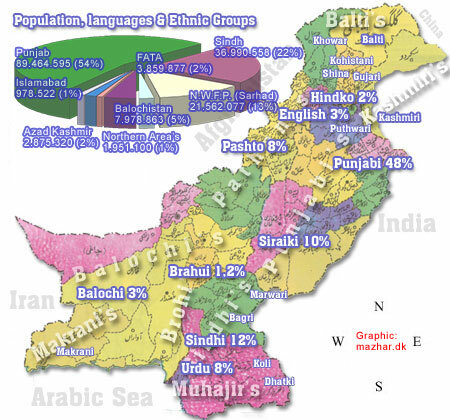 Pakistan is a country where people speak a diverse set of languages and Urdu and English arguably dominate the print media. As a result of a three tier education system, namely English-medium, Urdu-medium and Madrassas, the languages are much more than a choice of a tool for expression. Instead, they represent different segments of society. This sadly is an outcome of a longstanding multifactorial process, derived from economic disparities, unequal opportunities and differing social and religious influences. Each segment prefers one language over the other for source of information and expression and with time, one seems to be becoming more and more conservative while the other becoming more and more liberal. The vast influx of opinion pieces and news analysis, with easy accessibility over the web, are fast shaping the minds of the next generation. However, the mechanisms in place have been giving out separate narratives depending on lingual alignment, often contradictory and confrontational to one another. This is an alarming situation, almost as if the opinion makers for each segment are gearing their sides up for a charge on the ‘other side’ and contributing to the ongoing polarization and intolerance, rather than finding ways to bridge the divides. While genuine concerns are being raised by both factions, they don’t reach the ‘other side’ past the language barrier, as fully as they should. Instead they keep circulating without appropriate responses and explanations, reinforcing biases and bringing up concepts of “unyielding” and “irreparable” ideologues, across both sides. The mistrust and misunderstanding is extremely detrimental to the society, especially one suffering from poor governance and dysfunctional law enforcement, as intolerance becomes more prone to aggression and violence. It is therefore of utmost importance that media and journalism industry, across the board, did an introspection and became cognizant of their role in the above mentioned dilemma. Specifically, for every opinion piece written in English, there should be an Urdu translation available for it and vice versa, with easy accessibility to both, to ensure a wider range of readers, from all segments of the society. The ‘other side’ should get to hear the full version with the detailed reasoning and references rather than second hand information of what’s being thought of them. While this on its own may not be enough to stem the tide of intolerance and aggression that is engulfing the country, it will be a significant first step in the right direction, where unfortunately there have been none. This will no doubt be an extra workload for the news companies without any significant monetary returns and therefore not the optimal business strategy. However, in light of the impact they can potentially have by enabling such a thing, journalistic ethics would demand that it was given a serious thought. After all, they too care about this country like the rest of us and one can hope that a workable formula can be arrived at. The author is Currently a research fellow at NYU Abu Dhabi, a medical doctor from Pakistan pursuing a career in neuroscience research and clinical neurology. He has a strong passion for playing and watching cricket, speaks Punjabi, Urdu and English with equal fluency and feels a sense of responsibility to play his part in trying to bring people of Pakistan together. The views and opinions expressed in this guest blog are of the author.